Logan Schliinz was born and raised in Flandreau, South Dakota on a cattle operation / farm that had been passed down for generations. He was actively involved in 4-H, FFA, and high school rodeo and continued his passion of rodeo in college by attending North Eastern Oklahoma A&M University on scholarship. He moved to Colorado in 2006 and continued a successful career in marketing management and sales. 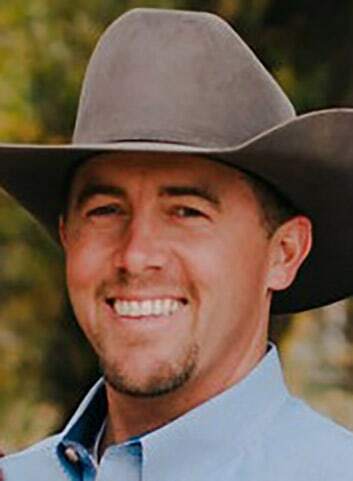 Logan and his wife remained in Colorado for 8 years before relocating to Torrington, WY to further their business ventures to include farm and ranch real estate and their cow operation. Logan continues to be active in roping as well as training performance rope horses. Logan strives for excellence and his self-motivation carries over to his professional career as he displays integrity and honesty in every facet of his life. As an associate broker for Clark & Associates Land Brokers, LLC and operating a branch office in Torrington, he will continue to be part of the family ranch as well as serving the real estate needs of the ranching community. Logan is licensed in Colorado, Nebraska, and Wyoming.